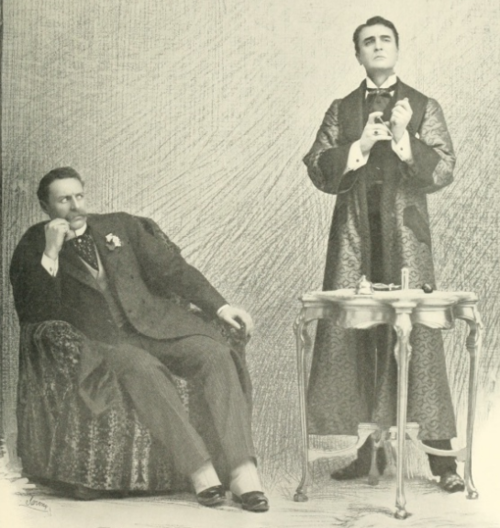 I absolutely love this photo, which depicts the immortal William Gillette as Sherlock Holmes in a dramatic mood, while Watson looks, frankly, horrified. I could laugh at it for hours. Quite honestly, there’s a lot about Sherlock Holmes I could laugh at for hours. One of my biggest discoveries when I re-read the Canon as an adult was a treasure trove of dry humor that had gone over my head as a child. Recently, my fellow Baker Street Babe, acclaimed author Lyndsay Faye, commented that in her view, one of the surest ways for a Holmes pastiche/fanfiction story to fail is to be over-serious, because that’s simply not the tone Doyle created. Her thoughts made me realize that as a writer and reviewer, I completely agree. I can forgive a lot of things in Holmes stories, and generally, my reading experience is celebratory of the fact that we all have these characters we love that we continue to want to explore. However, I have a lot of trouble with stories that treat Holmes and Watson and their world as humorless; those lose me. As a writer, all of my Holmes stories are partially tongue-in-cheek, and I’m not sure readers always get the jokes. Author intention vs. reader interpretation is a topic for another time, but rest assured, if you’re ever reading one of my books and something strikes you as funny? It’s absolutely supposed to be. When it comes down to it, I don’t think I could have sustained this many years of ardent love for these 60 stories if they weren’t funny. People often ask me and other writers why the stories have endured in popularity for so many years. I wouldn’t argue that humor is the only or primary reason, but I think it’s an important one. I just finished writing “The Adventure of the Missing Irregular,” a Christmas-themed Holmes story that will be published in the MX Book of New Sherlock Holmes Stories Part 5, a holiday story collection coming out later this year. When one of Holmes’s Baker Street Irregulars vanishes, Wiggins joins forces with his employer and Dr. Watson in a heartwarming tale perfect for reading by a (fake or real) Christmas fire. 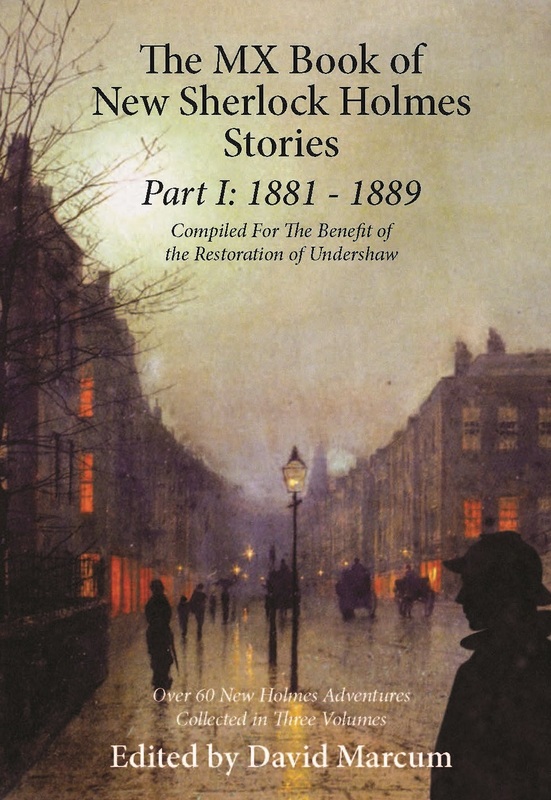 My previous story, “The Adventure of the Traveling Orchestra,” is featured in Part 1 of this collection. As an avowed part of your adoring public, it has come to my attention that today marks your birthday. It is no secret that you are not particularly fond of marking the day, which is understandable. I doubt I would be overly excited to be one hundred sixty-one either. I wonder how you will celebrate. Drinks at the pub? A trip to the moors? Viewing The Asylum’s Sherlock Holmes with your brother? Or perhaps a quiet day with Mary Russell, who, I hear tell, shares your penchant for immortality. I think, really, you’ll probably play chess today with the old specter who haunts Baker Street. No one much minds him any more. We live in an age when ghosts are nostalgic remnants of a bygone time. He will walk up the seventeen steps and greet you as an old enemy—after a hundred years, do old enemies become friends?—and the two of you will sit down with kings and pawns between you, remembering the days when the city was your battleground. We who form your public are fond of saying that it’s always 1895 in your world, but that’s not quite true, is it? That illusion is for us, for those who would escape into the pages of your friend’s embellished words. But you live beyond those pages, and that year cannot define you. Sometimes we writers try to make you immortal through logical means. We invent serums and spells and incantations, but all we really need are our words and our imaginations. You live in every year when we envision you there; you take any form our narratives can construct; and you live forever because nothing can die that is remembered. I’m quite sure you find immortality absurd, but lest you deny the power of the words we give you, let me whisper “Norbury” in your ear. You were once a man alone; you became an ink drawing colored in by the softening lines of friendship. You met the world through the pen of another. You are still meeting that world the same way. Dr. Watson is also immortal, you know, only today he wears more faces than your disguises ever created. He looks out through the laughing eyes of my rainbow-haired friend. He has thousands of Tumblr followers. He works days at an employment agency, and at night his fingers ache from penning the words he can’t keep inside. He rides public transportation, earbuds blasting heavy metal into his brain, journaling the outline of his next story. He’s a university lecturer who narrates your tales to freshmen purely for love of telling them. Millions mark your birthday—in apartments, pubs, libraries, and schools. After all, who better to celebrate your day than the ones who love you most of all? 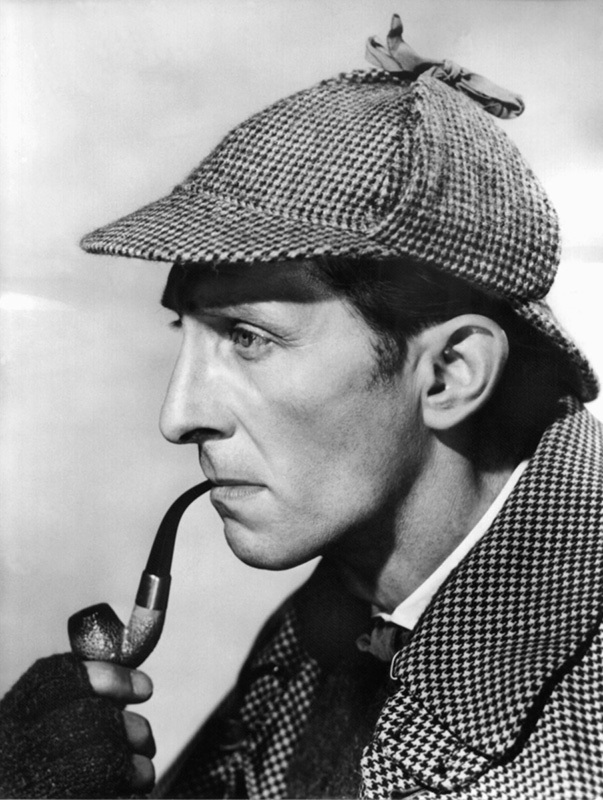 For being one of the most seemingly aloof men of literature, you certainly played a masterful trick, Mr. Holmes. You made the whole world your closest friend, and in so doing, you made yourself live forever. Many happy returns to you and to us. 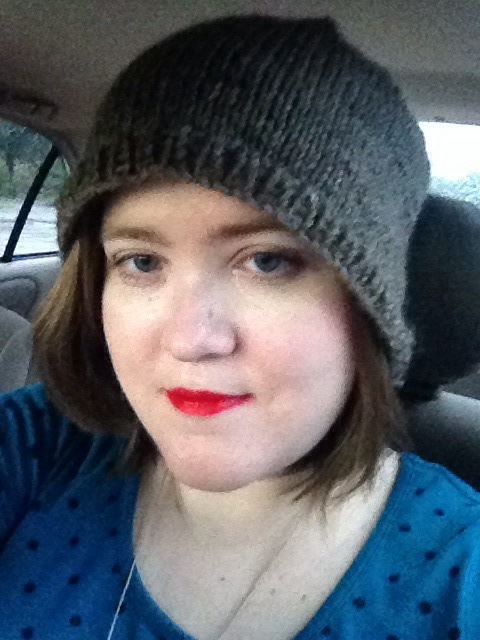 I’ve been interviewed by the lovely GG Andrews for the Writers Who Read Blog series. Check out the full interview here, featuring Sherlock Holmes, Irene Adler, and the Baker Street Babes.